Handle just about all trades and risk your investment by combating apprehension and self-indulgence. That is certainly where almost all traders do not succeed. Get an efficient robotized Expert Adviser. You can choose one of the choices above provided that you have enough cash and time to spend on testing and exploring. Nevertheless, if you are searching for an efficient, speedy and highly developed solution, then we have done all that for you. 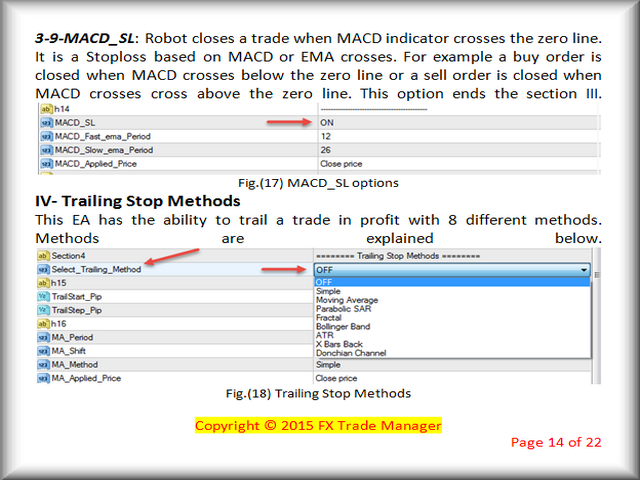 Automated trailing stops for every single opened trade. 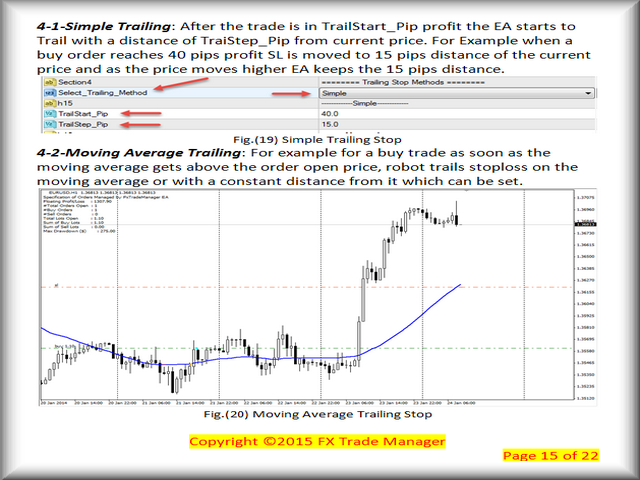 Gives you a chance to trail your profit despite the fact that you are not in front of your terminal screen. And very important one, i.e. protection of capital ought to be the main concern. 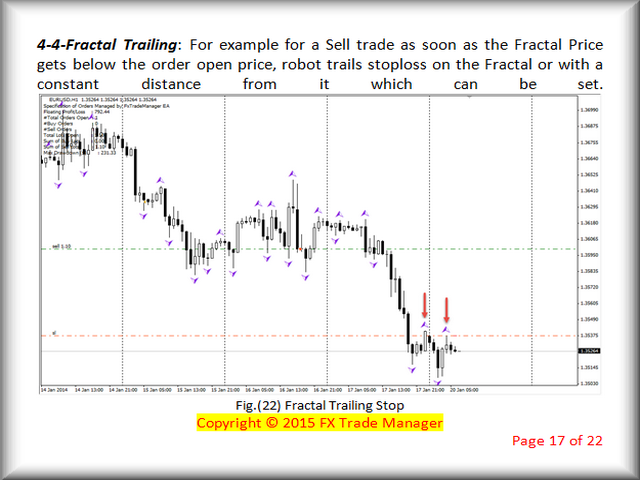 FX Trade Manager sets default stop loss as soon as trades are opened. So, you do not have to worry about a drawdown. 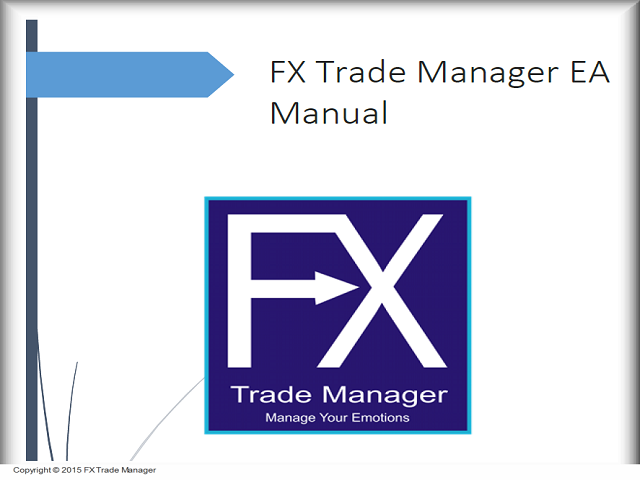 Features of FX Trade Manager are listed below. 1. Select_Manage: There are 4 options. **Please note that this EA only manages the orders that are allowed to manage. 1. 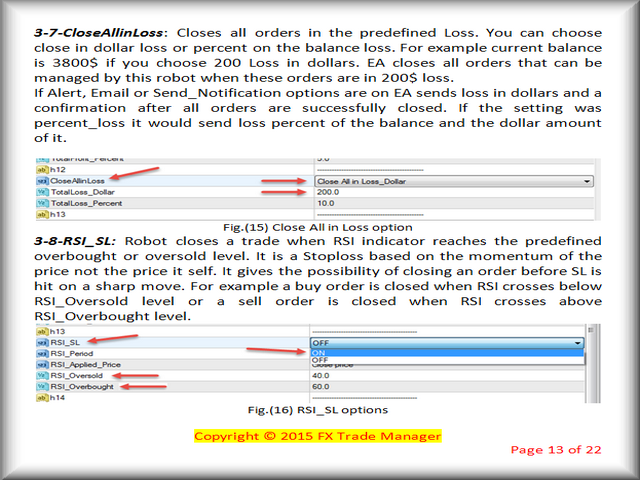 Initial Stop Loss and Take Profit Settings. 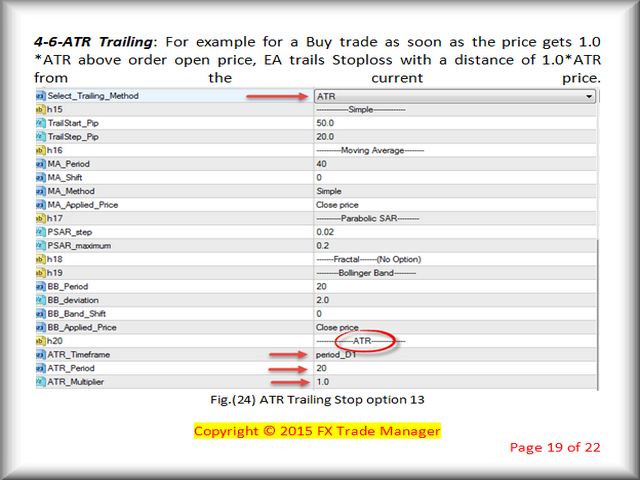 In this section, the EA sets SL/TP for orders that it can manage. The EA sets SL/TP for orders that do not have SL/TP at the opening. So, it does not interfere with trader’s decision. 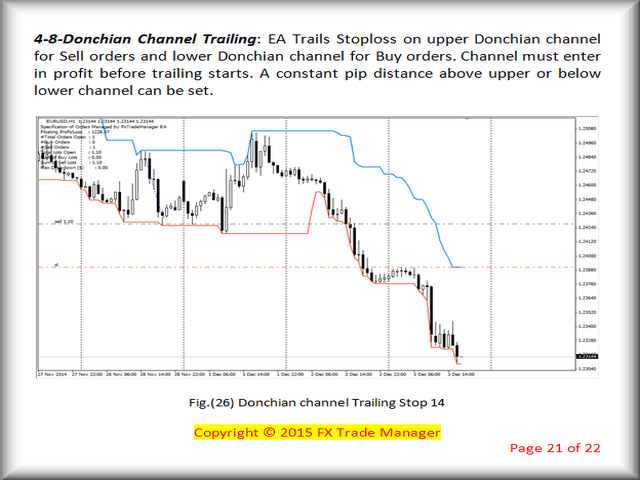 The trader also can wait for EA to set SL and TP and then move them to the place he/she desires. 2. Select_SL_TP_Method: There are 4 options. 5. Choose Nearest Swing: Swings are identified using ZigZag indicator. 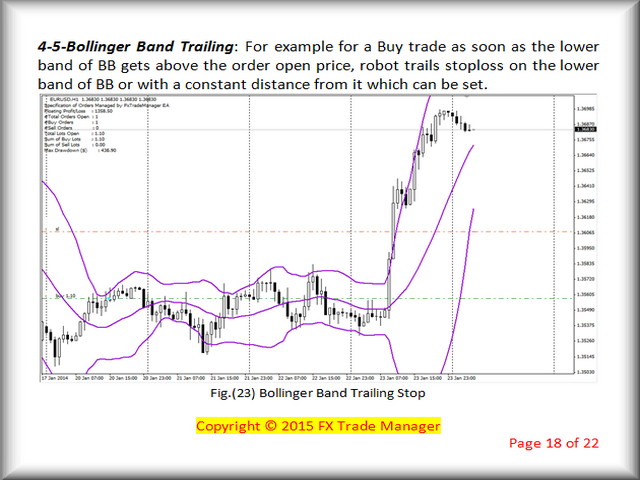 In this section, trader is provided with a very diverse variety of different managing tools. All the options are explained below. This EA has the ability to trail a trade in profit with eight different methods. Methods are explained below. AUTHOR NEVER ANSWERED MY QUESTIONS NOR SENT MANUAL .VERY EXPENSIVE AND DESPITE I CHANGED SETTINGS MANY TIMES NEVER WORKED FOR ME. highly recommend this , author is very helpful and responsive, thank you Sharif. 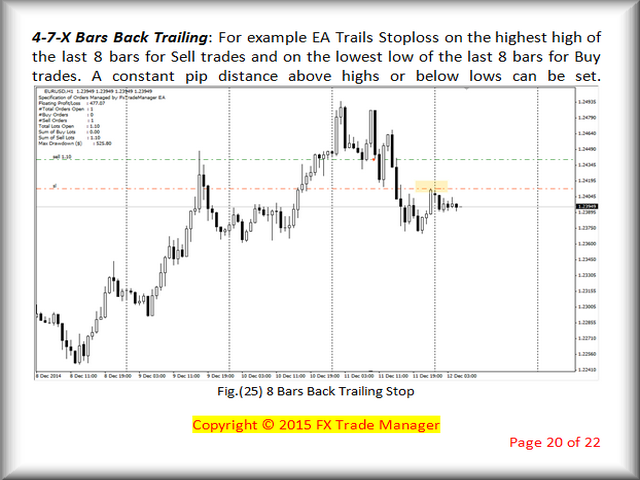 This EA is very good for setting up partial take profits, break-even, and trailing. 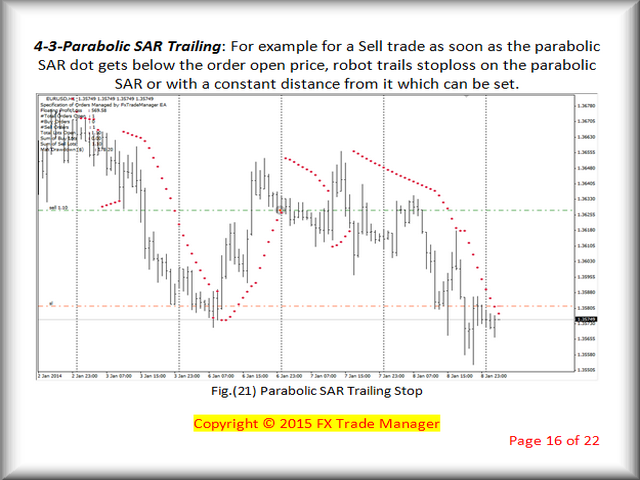 You can choose between several types of trailing methods. It only trails in profit. You can select orders by Magic Number (it works for 1 digit Magic Numbers), Comment, or Ticket Number, and for 1 currency pair or all currency pairs. For commodities and CFDs, you have to multiply the pip values by 10.
much satisfied with its results. - Added parameter--; Ratchet Trailing: Variable trailing stop. 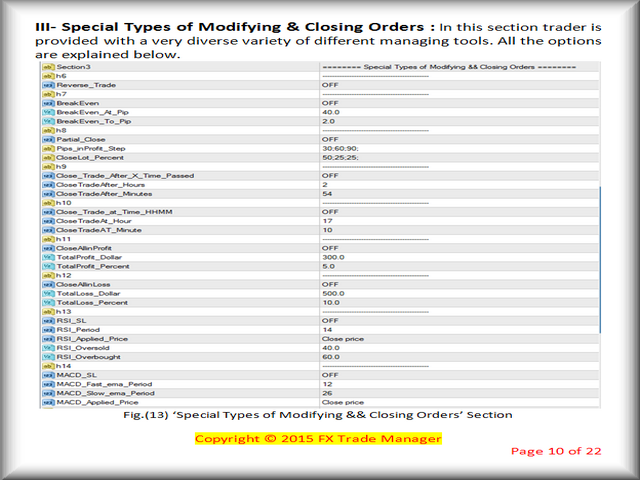 - Modified parameter--; Added a second ability to Close_Trade_After_X_Time_Passed: Close the trade after a specified amount of time passed in hours, minutes and seconds from the order opening time. 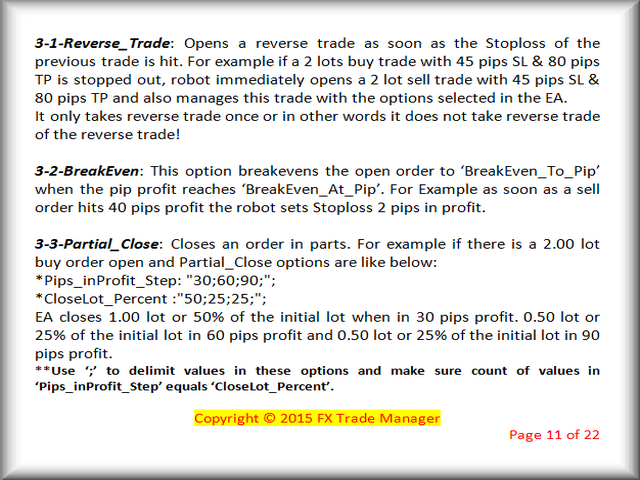 - Added parameter--; BE_Trade_After_X_Time_Passed: Breakevens the trade after specified amount of time passed in hours, minutes and seconds from the order opening time and if the order is in profit.